Stuck In The Buckosphere: Big snow coming? There is a lot of buzz going around on social media about this "huge" snow next week. Some of the models were showing over a foot of snow and some of the extreme forecasters were posting model runs a few days ago trying to get more likes, shares, and eyeballs. When one model run shows a doomsday scenario, I don't do that. If nothing else is agreeing then why post an error run? I will say that the models are in slightly better agreement for next week now, and THAT'S when I feel it is appropriate to share. Let's first discuss this weekend. Late Friday into Saturday we will possibly see some wintry mix move in. Then it will warm and we will see rain showers across Central Ohio thru early Sunday. We will actually warm into the 40's! Flooding could be a concern. Then next week we cool off a little. Someone WILL see a decent amount of snow but the rain/snow dividing line will be the key as to WHO will see all the snow. 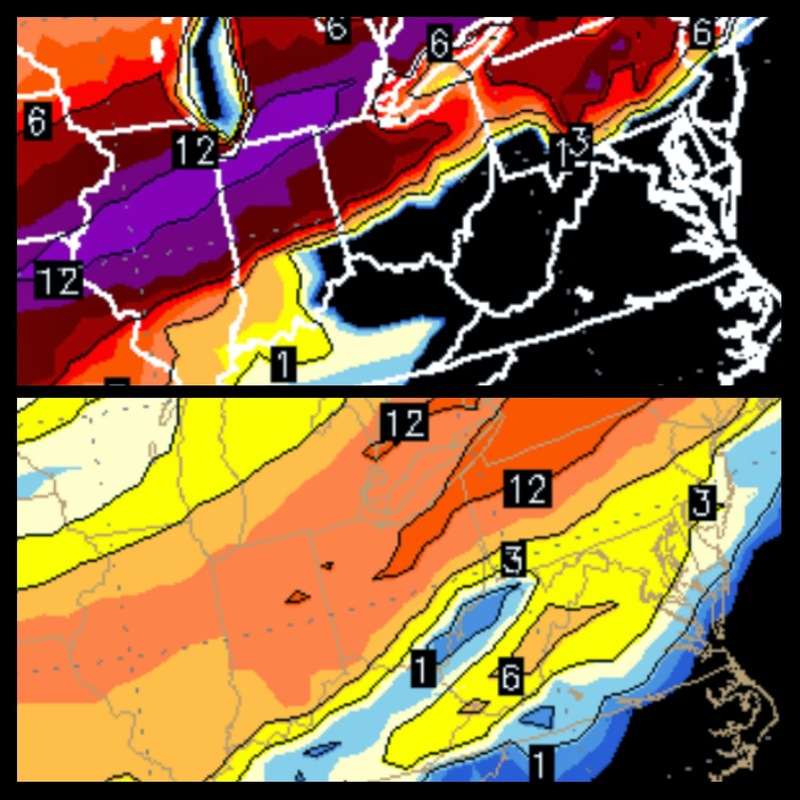 The models agree that somewhere over Ohio will be that line. What they cannot agree on is the placement. Some areas along that line could see some heavy icing and, in my opinion, that is the bigger story, not the snow. The time frame has been bouncing around as well between Tuesday thru Thursday. So there is a lot of wiggling going on with this system. The way it is looking right now... I could see Columbus seeing a lot of ice. Stay tuned and realize it is a fluid situation and nothing is nailed down just yet. I will keep you posted and the models below show you how much variability there is with this system.... And how sharp of a cutoff there is from a lot of snow to none at all. Have a good one.